Climate Change refers to changes in weather patterns on earth over an extended period of time, such as the rise in temperatures seen in recent years. Today’s growing body of evidence on climate change supports the principle that the earth’s climate is rapidly changing in response to continued inputs of CO2 (carbon dioxide) and other greenhouse gases ― such as methane, nitrous oxide, ozone ― to the atmosphere resulting from human activities. Of these greenhouse gases, CO2 has had the largest effect on global climate as a result of enormous increases from the pre-industrial era to today. Although changes in climate are natural, human activities such as fossil fuel combustion, land use, deforestation, and current agricultural practices magnify these changes. Climate change is undeniably one of the greatest challenges of our times and today we face an increasing amount of droughts, heat waves, extreme weather events, melting glaciers, rising sea levels and the threat of ongoing biodiversity erosion that puts at risk the natural development of our planet’s ecosystems. The last five years have been the five warmest years yet recorded, and 2019 is predicted to be even warmer. after which the predicted effects on the planet and people’s lives will most likely be irreversible. —United Nations Framework Convention on Climate Change (UNFCCC) is an international environmental treaty to: stabilize greenhouse gas concentrations in the atmosphere at a level that would prevent interference with the planet’s climate system, and its COP is its the supreme decision-making body. COP24 took place in Poland in December of 2018. —United Nations Convention to Combat Desertification (UNCCD), was set up to: combat desertification and mitigate the effects of drought through national action programs that incorporate long-term strategies supported by international cooperation and partnership arrangements. The most recent meeting, COP13 took place in Ordos City, China, 6-16 September 2017. UNCCD COP14 is scheduled to take place in October 2019 in New Delhi, India. —Convention on Biological Diversity (CBD) has three main goals including: the conservation of biological diversity (or biodiversity); the sustainable use of its components; and the fair and equitable sharing of benefits arising from genetic resources). The CBD also includes the Cartagena Protocol on Biosafety and the Nagoya Protocol on Access and Benefit Sharing. COP14 CBD took place in Sharm El-Sheik, Egypt, in November 2018. The three challenges of climate change, land degradation and biodiversity loss are equally essential to protecting the health of our natural environment, all of its species, and nature’s ability to provide food and fresh water to the growing human population. The United Nations Framework Convention on Climate Change (UNFCCC) opened for signature in 1992 during the Earth Summit in Rio de Janeiro, and later entered into force in 1994. Through this instrument, the United Nations has equipped itself with an action framework to fight global warming. After its entry into force in 1994, the UNFCCC Secretariat was established in Geneva. It was then relocated to Bonn in 1995 following the “First Conference of the Parties” (COP1) in Berlin. Today, this UN Convention has near-universal membership. The 197 countries that have ratified the Convention are called the Parties to the Convention. Since 1995 there have been twenty-four COPs. The ground-breaking agreement on Climate Change of the Paris COP21 in 2015 must be ratified by the 197 Parties to the Convention. The Paris UN Climate Change Conference COP21 of 30 November - 11 December 2015 was hailed as an agreement that would set the standards of future global political cooperation, agreement and action on impactful climate solutions. It was also regarded as the most important international decision and focused political document on global climate governance in more than 20 years with the aim of preventing major and irreversible damage to our planet’s human and natural systems. On the final day of this Paris Summit, world leaders from around the world signed a global climate Agreement, a legally-binding treaty for all signatories. President of the Cop21, Laurent Fabius called the agreement “a turning point..and a universal action of peace by 196 countries” in the global process to save the planet. The Agreement it was noted at the time, must also be ratified nationally, and will not become binding to its member states until 55 parties who produce over 55% of the world's greenhouse gas have sanctioned it. Although the Paris Accord was seen by many as insufficient to halt global warming, falling far too short of what was hoped for, including a lack of mechanism to ensure that countries enforce the measures, it has been established that it is a good start when compared to the past attempts. With this action, governments, businesses, experts, advocates, civil society and citizens worldwide did finally officially recognize the universal nature of climate change, marking a pivotal moment in modern environmental history, and a significant shift in global perception on climate progress. Thus, in order to tackle the greatest challenge of our age, climate change, we must also appreciate the need to address the world’s multiple water crises from every angle - not only from the environmental - and consider the larger perspective of corporate, economic, political pressures that are still driving our water governance. NASA declared 2018 was the fourth-warmest year in 139 years of records, with average temperatures across land and sea surfaces 1.42 degrees Fahrenheit above the 20th-century average. The summer season of 2018 saw some of the strongest, longest-lasting global heat waves in decades affecting countries from Siberia to the Mediterranean, from North America to East Asia; at least nine all-time temperature records were broken in the USA and in many places around the world. Kumagaya, Japan reached 42°C, the highest-ever recorded temperature in the country; a village in Oman saw temperatures remain above 42°C for 51 hours straight, which would break the world record for highest minimum temperature ever; the dramatic wildfires of 2018 can be seen as a global-scale phenomenon, in Europe this year across Europe is up by roughly 40%. In August of 2018 a team of climate scientists published a climate study which showed that even if the carbon emission reductions called for in the Paris Agreement are met, there is a risk of the planet entering “Hothouse Earth” conditions. Currently, global average temperatures are just over 1°C above pre-industrial levels and rising at 0.17°C per decade. The Agreement’s aim to limit temperature rise to 1.5C-2C above pre-industrial levels, by the end of the century - a threshold believed to be a tipping point for the climate - may not be enough to prevent other processes which drive further warming, even if the world stops emitting greenhouse gases. Climate scientists believe that a domino-like cascade of melting ice, warming seas, shifting currents and dying forests could tilt the Earth into this “hothouse” state of extremes that would be far less supportive of human life. In the context of the 2018 summer’s drought, heat waves and wildfires, it is even more evident that we are shifting the planet’s delicate ecological balance. This study indicates that within these ‘hothouse conditions’, global average temperatures may reach 4-5 degrees Celsius higher even if the Paris emissions reduction targets are met, and more drastic global action may be necessary. The report argues that maximizing the chances of avoiding such a “hothouse” state requires other efforts, such as improved forest, agricultural and soil management; biodiversity conservation and technologies that remove carbon dioxide from the atmosphere and store it underground. On 1 October 2018, an important new report was released by the IPCC (Intergovernmental Panel on Climate Change) ― the leading U.N. consortium of scientists studying the speed and scope of human-caused temperature rise ― authored by 91 researchers from 40 countries citing more than 6,000 scientific references, detailed the challenge it will be to keep the planet from warming beyond the 1.5-°C target, considered the aspirational goal of the 2015 Paris Climate Accord. As human activity has already resulted in about a 1°C increase in average global temperature since pre-industrial times, the report determines that if humans continue to pump greenhouse gases into the atmosphere at the current rate, the global mean temperature will likely rise to the 1.5°C mark sometime between 2030 and 2052. The report indicates that these conditions will spur dramatic consequences: sea levels will continue to rise threatening coastal ecosystems and infrastructure; flooding, drought and extreme weather events will wreak havoc on communities around the globe; many species will continue to be driven toward extinction and marine ecosystems could face “irreversible loss” including massive destruction of the world’s coral reefs. Only “unprecedented changes in all aspects of society” will prevent this outcome. The 17 Sustainable Development Goals (SDGs) Agreement adopted by world leaders at the United Nations General Assembly on 25 - 27 September 2015 just prior to the Paris Agreement was a powerfully significant and collective action - on poverty, injustice, gender equality, health, global development and environmental sustainability. Each goal agreed upon at the Sustainable Development Summit has specific targets to be achieved over the next 15 years. “The global goals provide a unique opportunity to end poverty, reduce inequality, build peaceful societies and fix climate change. All nations and all citizens have a role to play to achieve these global goals. We hope that the message of the goals will reach everyone on the planet..” ― U.N. Sec. General Ban Ki-Moon, referring to this universal sustainable development campaign. “WATER DAY” at the COP21: During the Paris Summit, the World Water Council and over a dozen members of the international water community came together in a collective effort represented by the #ClimateIsWater initiative, with the shared objective of elevating the recognition for water and climate at the political level, and in the climate change discussions from one COP to the next. The need to place water issues at the heart of climate discussions was stressed, as the reality is that water does not adequately or explicitly appear in the official agenda - although all impacts of climate change are manifested through water. In 2016 the World Water Council plans to build on the momentum of the #ClimateisWater campaign, including at the COP22 scheduled to take place in Marrakesh in November 2016. “It is through water that we can measure both the severity and the acceleration of global warming; however, we can also see that, through water, solutions can be found.” ― Ségolène Royal, France’s energy and environment minister at the COP21 ‘Climate is Water’ event. • In reference to the post-2015 Sustainable Development Framework, in which water is a specific objective in Global Goal #6. • In reference to human rights in the preamble; that the right to water and sanitation was recognized as a fundamental right in 2010. • Through the importance given to adaptation and its financing, in which water is a central issue. • Through the emphasis on the Intended Nationally Determined Contributions, in which water is the first priority for adaptation. • That everyone is entitled “to have access to sufficient, safe, acceptable, physically accessible and affordable water for personal and domestic use”. • That everyone is entitled “to have physical and affordable access to sanitation, in all spheres of life, that is safe, hygienic, secure, and socially and culturally acceptable and that provides privacy and ensures dignity”. safeguard the integrity of our vital ecosystems for a liveable climate, for clean air, and for pure water. On 29 November, hours before world leaders meet at the Paris Climate Summit, global climate change marches took place in over 2000 cities around the world to ask political leaders to make a bold commitment to action to solve the planet’s growing crises. 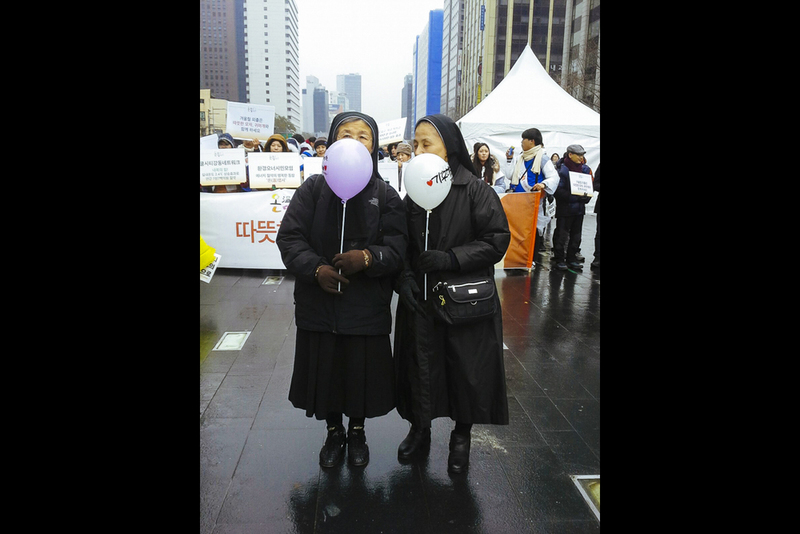 It was the largest global climate change mobilization in history. People around the world joined the Marches to set out their demands on climate justice. These public events marked the start of two weeks of actions that had been planned to take place over the duration of the summit, to build global mobilization and a united effort by individuals everywhere who striving for a future that benefits people and planet alike. 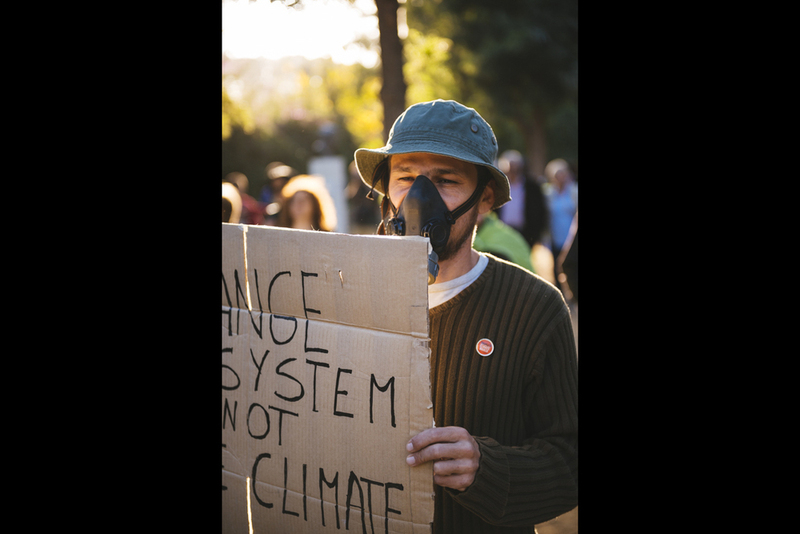 The Climate March events culminated in a mass demonstration in Paris on 12 December. 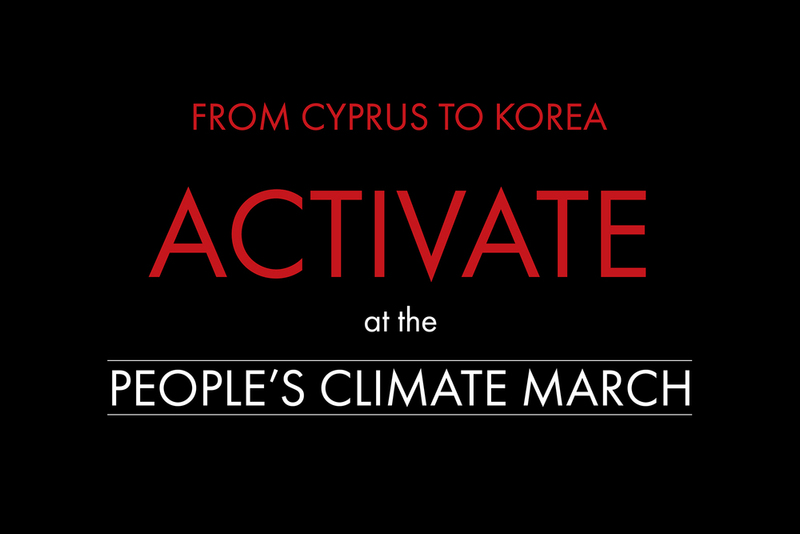 ACTIVATE’s partners in Nicosia, Cyprus and Seoul, South Korea, marched alongside their fellow citizens in support of this common purpose. The first step of the Paris Agreement had been its backing by 196 countries on Dec. 12, 2015. The second step was a signing ceremony at the UN headquarters that took place on 22 April, 2016 International Earth Day, where more than 155 countries committed to sign the Paris Agreement; the period for signatures remains open for one year, so that all parties can sign, in order to validate the Paris Agreement. In the third and final step, each nation must unilaterally ratify the agreement, which in many cases, will involve passage by national legislatures. Since the Paris agreement opened for signatures in April, only 24 of the 197 nations have ratified it (accounting for 1.08% of global emissions). When the 71st U.N. General Assembly that opens on Sept. 21, there will be a special meeting to encourage the signatory nations to complete the domestic legislation necessary to formally ratify the agreement. If the required 55 countries (which account for 55% of global emissions) approve the deal by 7th Oct., it will go into effect before the next global meeting in Marrakech, for the COP22. This 22nd session of the Conference of the Parties, and the 12th session of the Conference of the Parties serving as the meeting of the Parties to the Kyoto Protocol (CMP 12) will be held in Bab Ighli, Marrakech, Morocco from 7-18th November 2016. At the G20 Leaders Summit in G20 in Hangzhou, China, the world’s two largest greenhouse gas emitters, China and the United States officially ratified the climate agreement reached last April. With this gesture, the two countries move the Paris Agreement a major step toward taking effect this year. These actions now bring the number of countries that have ratified the agreement to 26. With the addition of the U.S. and China, this accounts now for nearly 40% of global emissions - about three-fourths of the required total, bringing momentum for the UN General Assembly planned for 21st September. At the European Parliament session on the Paris agreement - also attended by U.N. Secretary General Ban Ki-moon - the European Union’s ratification bumped up national participation to the necessary threshold needed to put the climate deal into effect. By the next day, a total 73 countries including Canada, India and Nepal had ratified the agreement - countries that account for nearly 57% of the world's carbon emissions. 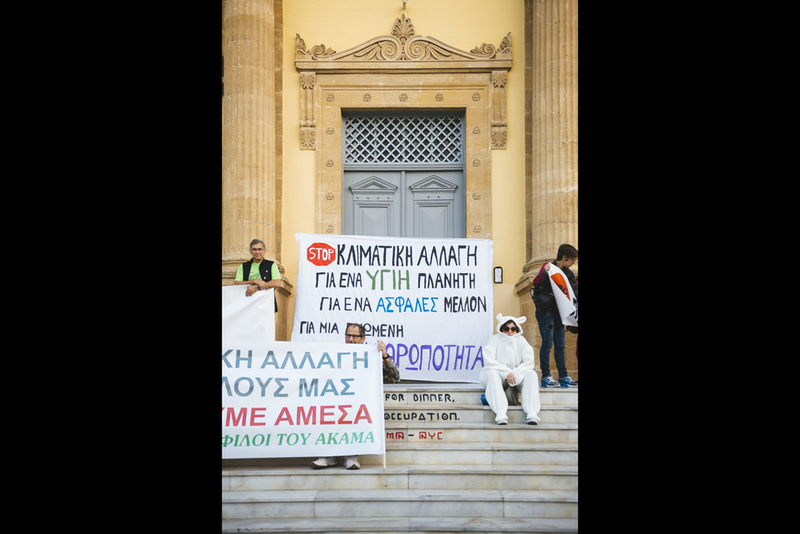 The climate deal will enter into force in the following 30 days - 4 November 2016 - less than a year after it was first reached, making now an official agreement, and a major improvement over its predecessor, the Kyoto Protocol. During the Marrakesh conference, 11 more governments ratified the 2015 Paris Climate Agreement – Australia, Botswana, Burkina Faso, Djibouti, Finland, Gambia, Italy, Japan, Malaysia, Pakistan and the UK; the total needed for the agreement to become law was 55 nations representing 55% of global emissions. By the conclusion on COP22 which was attended by over 200 negotiators, 111 nations had joined the Agreement. Although the Paris Agreement was a complete document that proposed the goals and framework for international climate action, it was decided that two sessions of 2017, that will be held in Bonn, will to serve to refine and define the Agreement and create a blueprint or 'rulebook', until the next major meeting of talks in 2018. This landmark Paris climate deal to cut global carbon emissions lost one of the world’s biggest polluters, the U.S., after its President Donald Trump decided that the country will no longer participate in the agreement. While the decision means the United States will cease actions to meet its commitments under the agreement, fully withdrawing from the accord will actually take close to four years. Fijian Prime Minister and incoming President of COP23, Frank Bainimarama addressed delegates in Bonn and presented Fiji’s vision is for the upcoming COP and anticipated advances to the Paris Agreement, such as accelerating climate action for all vulnerable societies. Offering the perspective of a Pacific Islander, he addressed the vulnerability of Small Island Developing States, and other low lying nations and states or threatened cities in the developed world like Miami, New York, Venice or Rotterdam. For all global citizens, whether it is the rising seas, extreme weather events or changes to agriculture, threats to our way of life, no one will escape the impact of climate change. As was the case at the Marrakesh COP22, the negotiations of the Bonn COP23 centered around attempts to make significant progress on developing technical rules and processes needed to fulfill the 2015 Paris Agreement’s ambition, with countries negotiating the finer details of how the agreement will work from 2020 onwards. Other key highlights in Bonn included the announced withdrawal of the USA under the presidency of Donald Trump, and Syria's commitment that it would sign the Paris Agreement, leaving the USA as the only country in the world that does not intend to honor the landmark deal. Also, 19 countries committed to the phasing out of coal use. The primary outcome of this UN session was to set a deadline for the drafting of implementation guidelines for next year’s COP24 in Katowice, Poland, set to be held in Dec 2018. Following two weeks of difficult talks and political divisions, the nearly 200 nations finally agreed on rules for implementing a landmark global climate deal and a more detailed framework of the 2015 Paris Agreement. The 156-page rulebook - which is broken down into themes such as how countries will report and monitor their national pledges to curb greenhouse gas emissions and update their emissions plans is being criticized for not being ambitious enough to prevent the dangerous effects of global warming. Moreover, the conference held in Polish city of Katowice, was undermined by such things as Saudi Arabia, the Unites States, Russia and Kuwait refused to use the word “welcome” in association with the findings of the October U.N.-commissioned IPCC report that warned that keeping the Earth’s temperature rise to 1.5C would need “unprecedented changes” in every aspect of society. More over, COP24 was affected by controversies such as a pro-fossil fuel side event put on by the United States (and backed by Australia) that was met with hecklers and protestors.